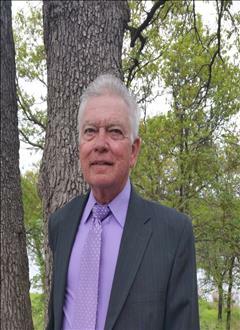 Jerry Sutherland, 72, died on Sunday, February 3, 2019 in Stillwater, Oklahoma. A memorial service will be held at 10:00 a.m. Saturday, February 9, 2019 at the St. Andrew’s Episcopal Church with Father Jeff Huston officiating. Strode Funeral Home and Cremation is in charge of the arrangements. Following a move to Brooken Cove, OK he and his wife owned and operated Pete’s Place General Store. After returning to Stillwater in 2003, he worked at Oklahoma State University Book Store and most recently at Walgreen’s. He was a champion for the Boy Scouts of America and served as Cub Master of Pack 44, and attended Leadership conferences at Woodbadge and Philmont Scout Reservation. He was presented the Silver Beaver Award for his years of service and dedication to Cub Scouting. Jerry was a member of St. Andrews Episcopal Church, Knights of Columbus and was instrumental in organizing the Stillwater Soccer Association, the Stillwater High School Parent Teacher’s Association and Project Graduation for Stillwater High School. He is survived by two sons, Edwin Earl Sutherland II and wife Jennifer Lynn; Eric Louis Sutherland and wife Amanda Annette; five grandchildren, Hayden and Oliver Sutherland, Kyndell, Drake, and Pacey Sutherland; one sister, Jane Bazinet of Deerfield Beach, Florida and cousin, Donald “Corky” Meek of Westlake, La. In lieu of flowers, donations may be made to St. Andrew’s Episcopal Church Canterbury which was of special interest to Jerry and his wife, who loved providing meals for these young OSU students. To send flowers to the family of Jerry Edwin Sutherland, please visit our Heartfelt Sympathies Store.